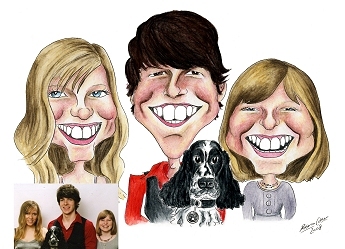 Family caricatures make ideal gifts. They capture a moment in time forever, in a fun way and at an affordable price. This A1 captured all the interests and hobbies of the children but had a more classic portrait in the middle. A real suprise present for one lucky Mum. 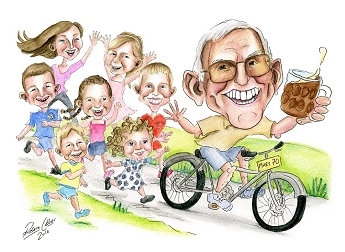 This made a fun, family portrait. 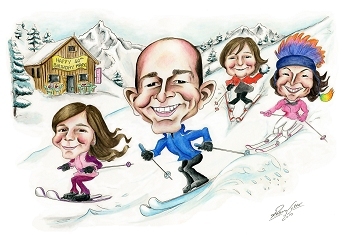 Discounts are available for these caricatures, e-mail us with your requests for a quote. A nice present for this Dad. 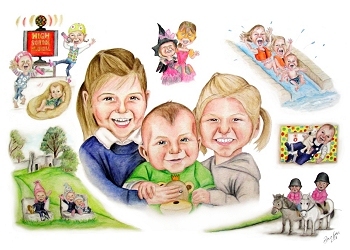 A lovely way of including all the Grandchildren in one drawing. 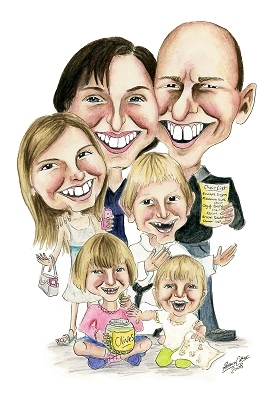 When placing an order why not order a digital copy too, then you can give all the family a copy! 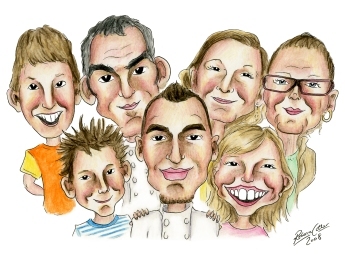 A caricature of your family needn't be a complex or expensive purchase. These lovely head and shoulder pictures do just as good a job and make great gifts for your relatives. Ó 2012 HonkeyDonkey, All rights reserved.